Only another horse person can understand what it feels like to have a true PASSION for these beautiful animals. Horses feed my soul in so many ways and I am so thankful to be able to give back to them and the equestrian community. Our team teaches people how to use Young Living Essential Oils to help themselves and their animals feel better. Gary Young, the founder of Young Living shares the same deep-rooted passion for horses that we do. His formula for a balanced life is dirt, plants, and horses. I couldn’t agree more! The 13-minute video below explains the values and traditions of this great company. If you’re interested in starting a business or even just using essential oils, you’ll definitely want to watch this! I feel so blessed to be able to help horses and their owners feel better while building a business through such an amazing company. If you’re interested in learning more about using essential oils please fill out the form below to join our online Essential Oils For Horses 101 Workshop! If you’d like more information on the business, please visit http://thehorseaholic.com/apply-join-team/. 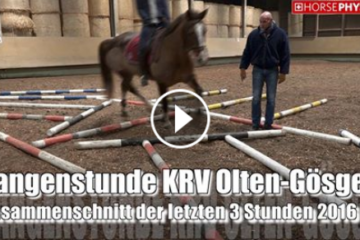 Pole Training – This Is The Stuff That Makes GREAT Horses! 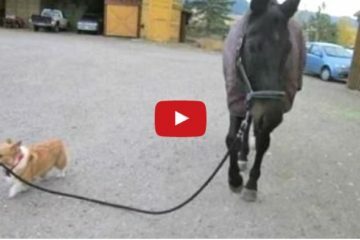 Funny Dogs Walking Horses Are Sure To Brighten Your Day! 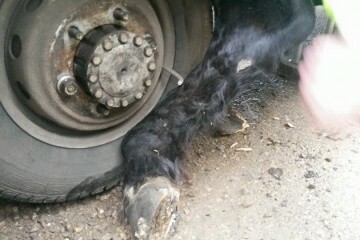 Horse Falls Through Trailer Floor And His Leg Is Caught Between Wheels – Please Do Thorough Trailer Checks!